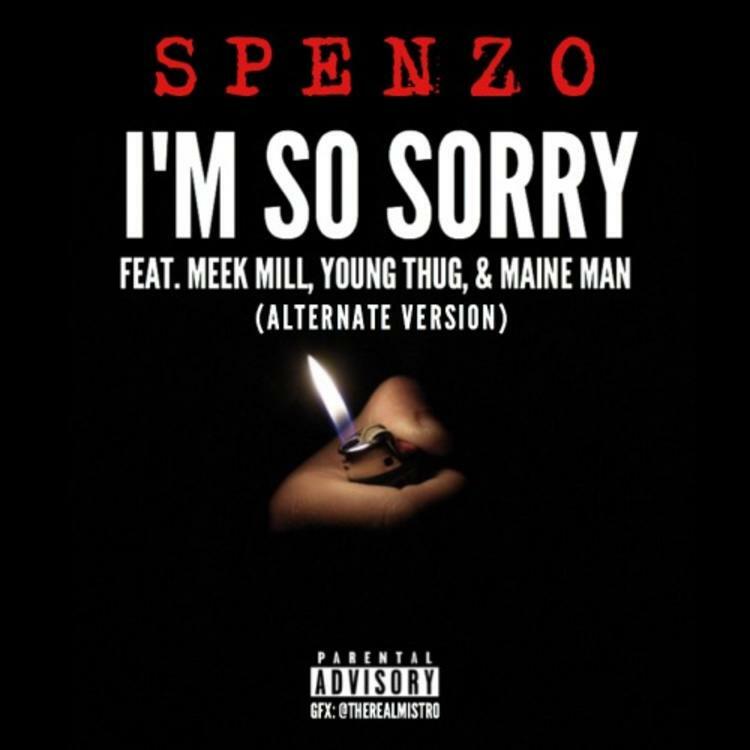 Spenzo shares another version of "I'm So Sorry" that features Meek Mill, Young Thug and Maine Man. New Meek Mill verse alert! Since MMG's Philly representative was freed from jail last week, we haven't heard a new verse from him, but that changes now. After sharing a first version of "I'm So Sorry" with Young Thug in October, Spenzo now gives an alternate version that features Meek and Maine Man. Going in over the titanic Honorable C-Note-produced beat, Spenzo, Maine Man and Meek all show their unique abilities, especially the latter rapper, who's even given a beat change-up for his song-closing verse. It's great to have Meek back, and he's sounding hungry as ever on "I'm So Sorry."